On 20 October we were honored with the Indiecade Trailblazer award in Paris. "When many were taking Tale of Tales’ radical and provocative work as “middle finger” to the industry, it was really about their index finger, pointing at the moon. They are always taking one step forward, and luckily never waiting for us to catch up." 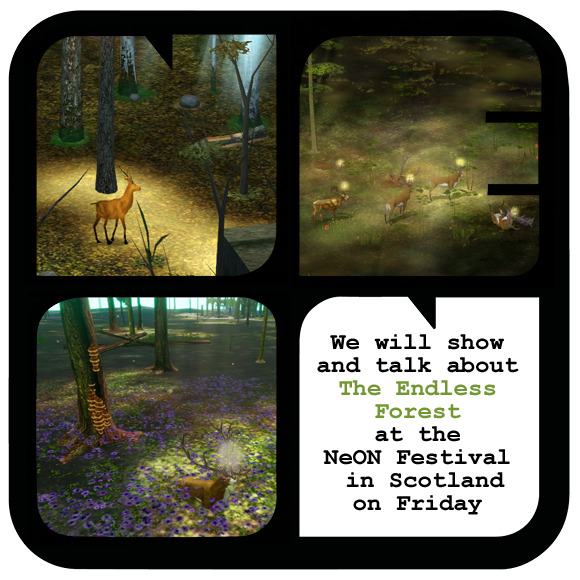 Our game The Endless Forest is on display at the NEoN festival in Dundee, Scotland, from 6 to 18 November. On Friday the 9th we are talking about the evolution of the game since its launch 13 years ago until its current remake. On Saturday, Cricoterie, the Virtual Reality project that started over a year ago in the tiny village of Hucisko will have its premiere in the amazing Palace of Culture and Science in the capital of Poland. 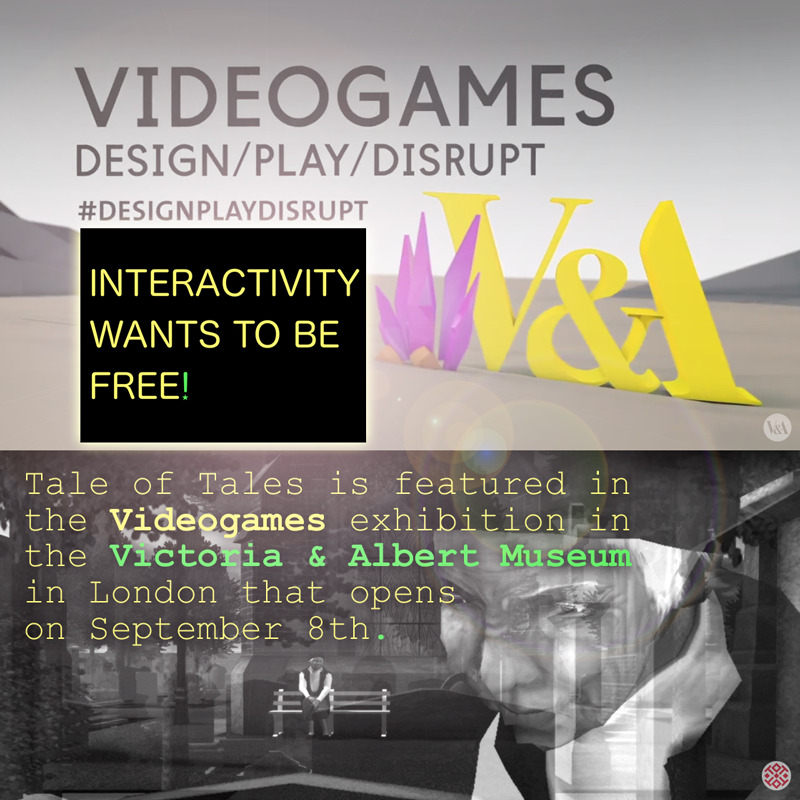 We’re very pleased to announce that our work will be featured in the ambitious exhibition about videogames in the wonderful Victoria & Albert Museum in London. Opening on Saturday!.